Earlier this year I was invited to join the AAVia Foundation on their annual trip to La Paz Bolivia as their official photographer. 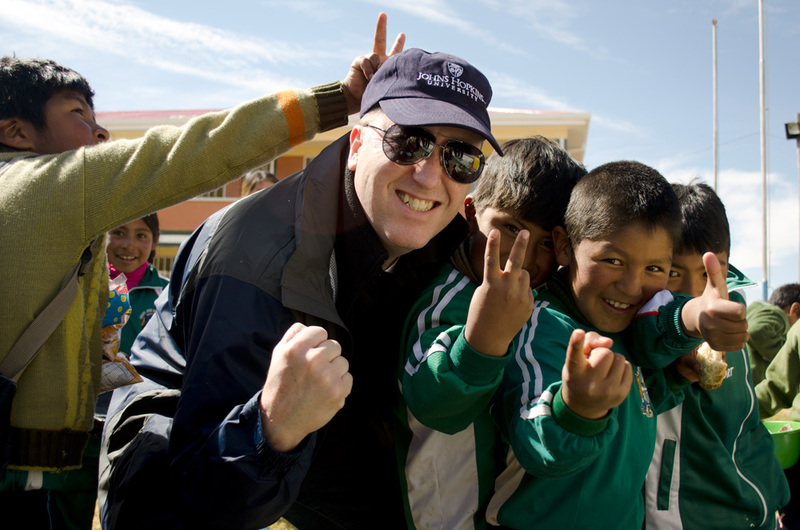 I spent ten days in the country with the charity as they visited projects they currently support and forged new relationships with Bolivian based organisations for the future. 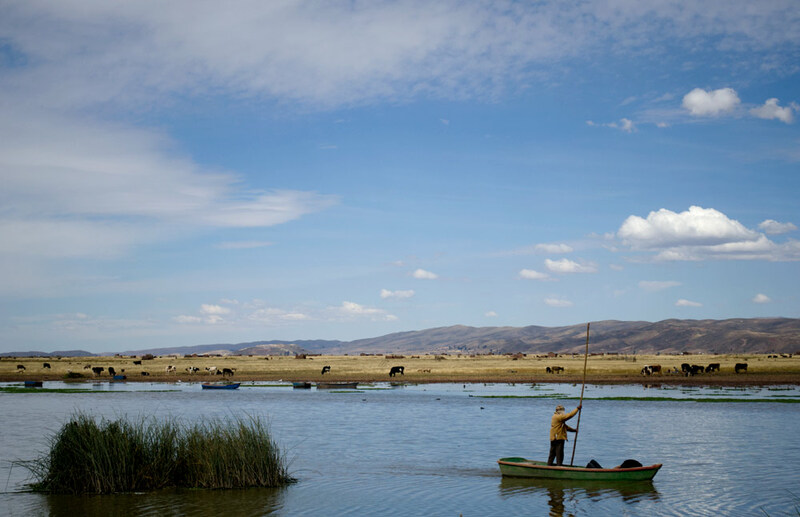 Within such a whirlwind trip it is difficult for me to pick any one highlight, however, the couple of days we spent over towards Lake Titicaca stood out for me for a couple of reasons. I visited the Lake back in 2014, when I spend 3 months in Bolivia. I stayed in a hostel in Copacabana overlooking the Lake for a couple of days and engaged in the tourist activities such as boat trips to local islands, sampling renowned Titicaca Trucha (trout) in bars and spending my Bolivianos on aguayo sun hats and jumpers. The excursion in 2015 felt detached from my earlier tourist experience of the Lake as we visited the rural villages of Cohana and Ancocagua from our base in the town of Pucarani. 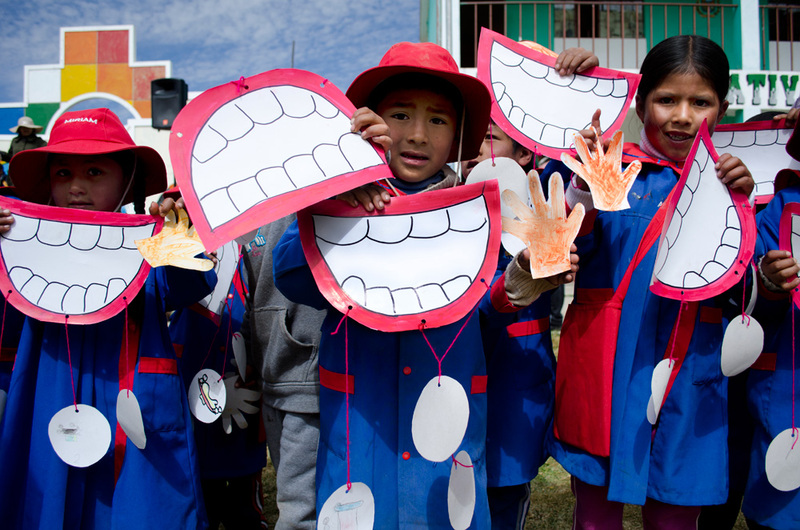 It is in these small villages on the shores of Lake Titicaca that the ‘Clean Hands, Healthy Schools’ programme, funded by the AAVia Foundation, is in motion. The purpose of the charity’s visit was to evaluate the success of the project and explore how they can further support the work being carried out by Pucarani Nursing School. We left Miraflores early morning for the some 40km drive to Pucarani. As we wound our way up the streets the view of a waking La Paz became more magnificent with every twist and turn. 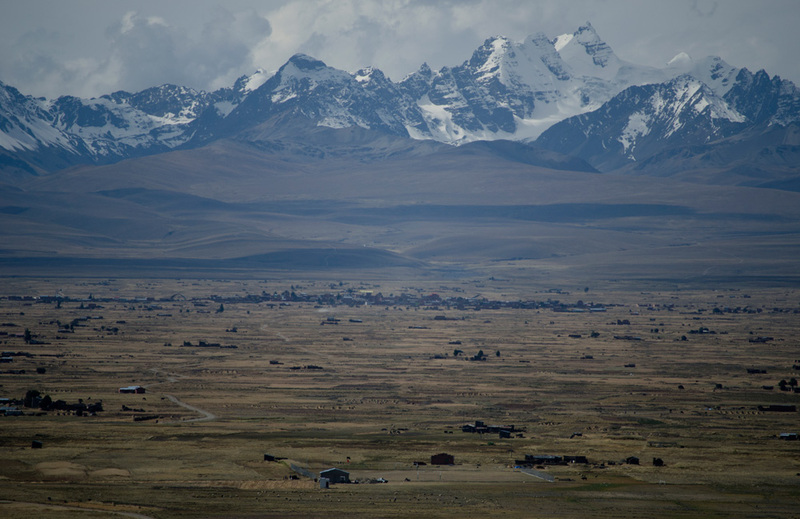 As we mounted the head of the valley, La Paz disappeared behind us, landmarked only by the great peak of Illimani. 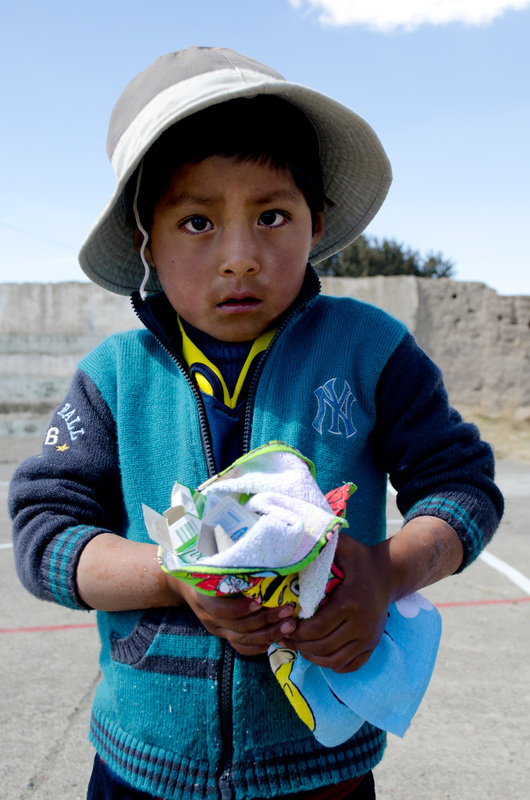 Driving through the streets of the ever expanding El Alto we headed towards the Altiplano. The landscape around us morphed while unfamiliar peaks rose from the flat plain that now surrounded us. After stopping at the Pucarani Nursing School for a welcome breakfast we headed closer towards Lake Titicaca to the village of Cohana. Here, we visited a primary school to watch the children deliver presentations illustrating what they had learnt from the ‘Clean Hands, Healthy Schools’ initiative. Each class in turn stood on the school’s outdoor stage whilst we all listened intently in the heat of the Bolivian sun. 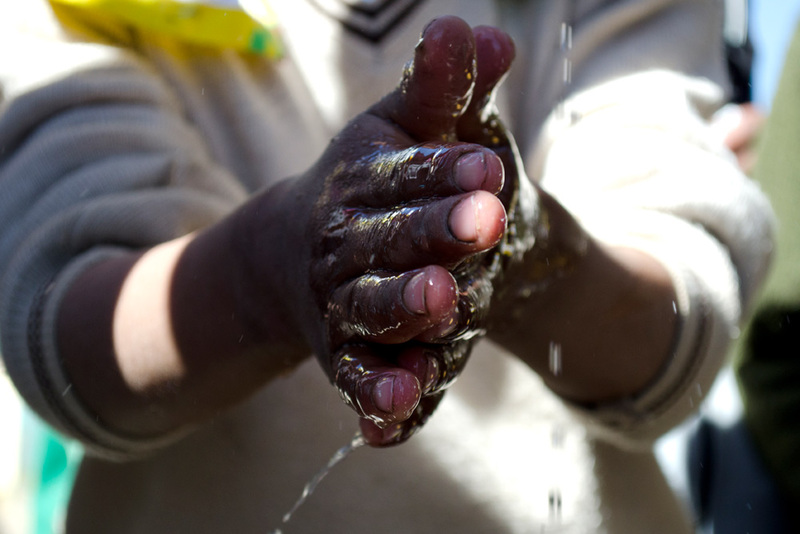 They told us with a song, a sketch, a speech…why hand washing and hygiene is important and how to keep the highest personal hygiene possible. They also addressed issues such as how to purify water to make it suitable for hand washing. In communities where many do not have access to clean water, this information is vital. 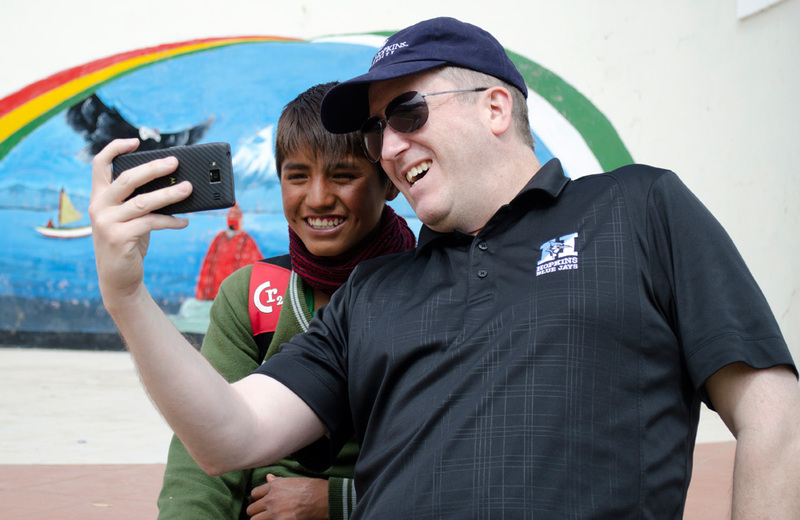 Tim Malia, Medical Director of The AAVia Foundation with children from the Cohana School. With handmade diagrams the youngest class of children show us how best to wash our teeth and hands. At the second school we visited, in Ancocagua, the ‘Clean Hands, Healthy Schools’ programme was in its first phase; Introducing the children and their parents to the importance of personal hygiene and providing each child with a pack containing a flannel, soap, a toothbrush and toothpaste. The classes were led by pupils of the Pucarani Nursing School and followed by a hand washing activity on the school’s yard. 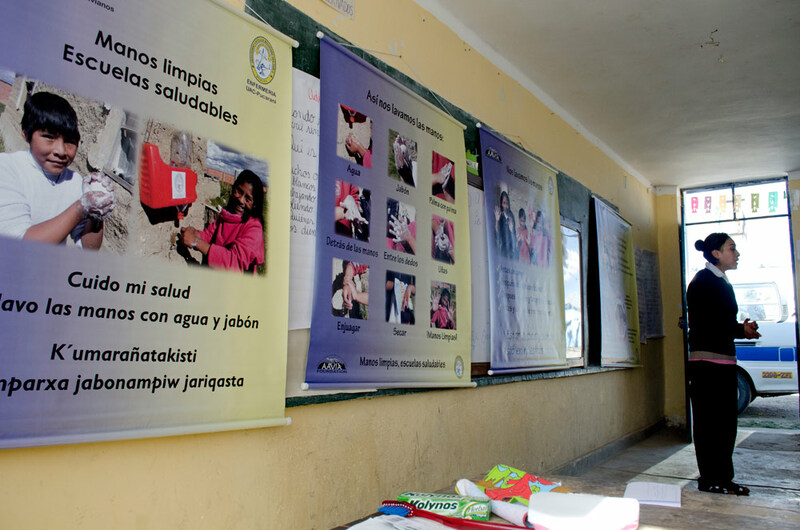 It sounds simple, as often the best initiatives are, but teaching youngsters about the importance of personal hygiene can have a huge impact on the general health of a community. It can help to reduce the risk of children acquiring preventable bacterial infections and therefore alleviating pressure from a healthcare system already under great strain. By educating primary school aged pupils the information has the opportunity to be passed to many future generations. Each child received soap, a flannel, a toothbrush and toothpaste. Using their new kits the children washed their hands with the guidance of the Nursing students.